Here is a very simple recipe that is the prescribed diet during the Banana Treatment. This is also recommended for woman to eat during their menstrual cycle to balance gynaecological health, particularly in cases of dysmenorrhea (painful menstruation). Full cream, unhomogenised, Cows Milk. quantities vary on how much you want for the day. Wash and soak rice (1 hour is enough). Boil rice in water until cooked. Strain and wash the cooked rice. This removes the impurities and makes the rice light. With the cooked strained rice in the pot, add equal amounts of milk and water, till the level of the liquid is approx. 2cm above the rice. Cook again. (You can also add everything in the beginning (rice, water, milk) & cook all together till the rice is very well cooked. The end result should be nice & soupy, not dry. Bring to the boil - take off the stove and - Serve. Milk Rice has to be made fresh daily / can keep it warm in a thermos (never reheat). "But I Don't Do Dairy"
It is important to have even a little cows milk with the milk rice during the BT. If you do not want any milk at all, that is also fine, have plain rice. If the reason for avoiding milk is a dairy intolerance, just avoiding heavy-to-digest proteins like milk will not fix the underlying problem, which is a weak digestive fire (agni). Take a steps action to re-balance your digestion, then slowly introduce the foods in the right way. Contact Me for a consultation to dig deeper into what is going on and get back on track towards optimal digestion. On the days of taking the Banana Medicine, one should not take any medications, herbs, dietary supplements etc. – if you have an issue or query with this, contact me or the Vaidya. The banana herbs should be taken on a completely empty stomach. If you are taking the morning dose of Banana Medicine, you should not consume any food, herbs, or medications etc. that morning. Only plain water is allowed. 1 hour before taking the medicine the patient should completely fast (no food, water etc.). It is important to swallow the banana piece whole – Do not chew it or allow it to touch your teeth. 1 -2 hours after taking the medicine the patient should completely fast (no food, water etc.). After this, the first thing the patient should eat is milk rice (see recipe below). Do not talk for 30 minutes before you receive the banana herbs or 30 minutes afterward. Results are more powerful with inward attention and silence during this time. Every meal during the BT should be “milk rice”. If you have trouble digesting cows milk, try a smaller quantity raw or unhamogensied cows milk boiled. If this is still uncomfortable, you may have plain white rice only. 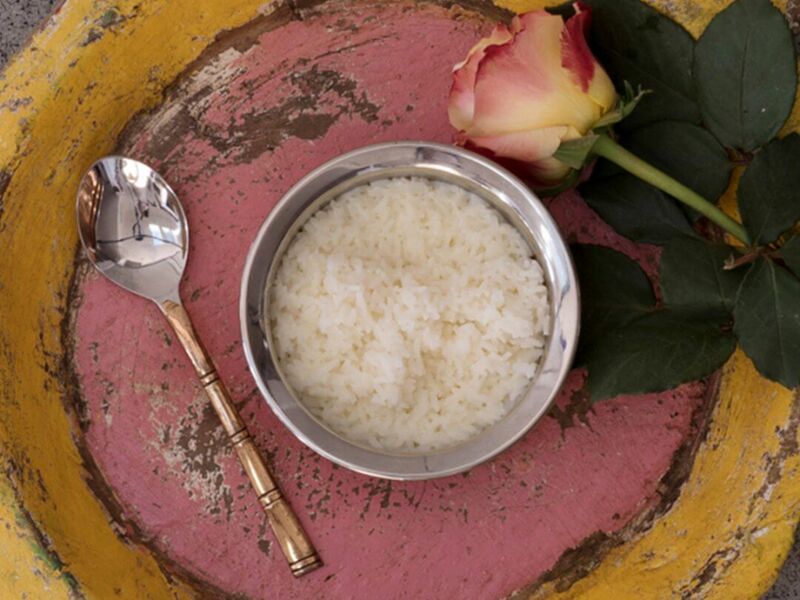 Rarely people feel aversion to eating milk rice every meal. If this happens, and you really cannot tolerate it, have milk rice or plain white rice for the first meal (after taking the BT), then for the meals after that you may add a little cinnamon in the milk rice to add some flavour and reduce the aversion. Note that this is not ideal and for full benefits of the BT. Plain milk rice is best ruing menstruation cycle. You can also have fresh, simple food throughout if you are really struggling with diet (see diet below on next bullet point). Women who are post-menopause or men who are taking BT have much more leniency with the diet. You can eat normal light food throughout the BT. It is recommended to have milk rice after taking the BT, then you may have normal light food for other meals but aim to keep it as simple as possible (not heavily spiced, flavoured etc.). Continue sipping hot water frequently during the BT days to help remove the toxins more thoroughly.